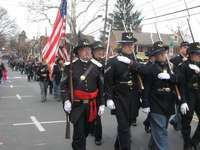 The town of Gettysburg is celebrating the 150th Anniversary of the Battle of Gettysburg. The event calendar runs from September to November with many different tours, parades and ceremonies. It would be a learning adventure for all!! Bridgeview Bed & Breakfast is just a short drive from Gettysburg, you could spend a day there and your evening relaxing on our deck overlooking the Susquehanna River, Blue Mountain Range and famous Rockville Bridge. Each of our rooms have a private bath, WiFi, individual A/C and continental breakfasts. There are two sitting rooms, one with a tv, and one with big picture windows over looking the river. It is your perfect "home away from home" in Central PA. With summer almost over, plan your fall vacations now!! Visit our website or call 717-957-2438 for rates and reservations!! Also, visit our Facebook Page for daily updates, pictures and guest comments. The Pa Farm Show Complex and Expo Center has a busy month ahead for September!!! The annual Harrisburg Fall Home Show takes place 9/7/12 to 9/9/12. From supplies to advice from local contractors, the Home Show is the place for the builder in all of us!! During the Home Show is the Mid-Atlantic Arms Collectors Show. Come check out the variety of fire arms, ranging from antique to the modern. And, last on the schedule for September is the All American Dairy Show on 9/20/12. Come see the animals and enjoy all the delicious food!! While in Harrisburg, escape the city life and stay at the Bridgeview Bed & Breakfast. 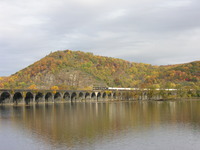 We are located just across the river from Harrisburg, a 10 minute drive. Nestled along the banks of the Susquehanna River, Bridgeview Bed & Breakfastis a hidden treasure in Central PA. We still have some availability for September!!! Call 717-957-2438 now, or visit our website for rates and reservations!!! Also, visit our Facebook Page for daily updates, pictures and guest comments. There is nothing more beautiful than watching the leaves change on the trees in the early fall!! Bridgeview Bed & Breakfast is located directly on the Susquehanna River, overlooking the beautiful Blue Mountains and Rockville Bridge. Drink your morning coffee on the deck of the Bridgeview Bed & Breakfast and be captivated by the amazing view!! With a great variety in local restaurants, museums, parks, and festivals, Central Pennsylvania is a terrific place to visit. Visit our website or call 717-957-2438 now to schedule your next get-away!! Check out our Facebook Page now for updated wild life pictures, updates and customer comments!!! Happy Labor Day to everyone from The Bridgeview Bed & Breakfast. Today we would like to share some information provided by our friend Paul B. of Switzerland. We hope you find it interesting and we would like to thank Paul very much! Here two pictures from "a German lady in Switzerland"! No. 185 100-5 is a engine from the Deutsche Bahn-DB (German Railroad) equipped for several railroad systems in Europe. Switzerland has the same voltage and frequency like Germany, Austria, Norway and Sweden, but with a smaller zick-zack-line on the overhead copperwire and a different train-control-system (Switzerland has its Signum, ZUB121 and now ETM(European Train Managment) / ETCS(=European Train Control System, Switzerland is the first country which use this new System extensive), while Germany has its Indusi, PZB90 and in the future also ETCS). So the class 185 has four pantographs on the roof and must be equipped with the Swiss train-control-systems. The train which No. 185 100-5 pulls is a "red bull"-train from the station Heerbrugg/Widnau, where red bull is bottled. Shorter trains goes an other line, but longer trains like this one goes over Sargans and Zurich to the sea-ports in Germany and the Netherlands and to some countries of Europe. If you are considering traveling to the Harrisburg area from the United States or anywhere in the World as Paul and his group did, check out our reviews on Trip Advisor and please call 717-957-2438 or click today to reserve a room!! Also, see our Facebook Page for daily updates, pictures and guest comments.